Gratitude is a feeling that comes to many minds in November. During this month, we often take time to reflect on family and friends, appreciate where we live, and acknowledge the numerous other things we sometimes take for granted. Because of this, November is also the perfect time to donate to charities. One good, tax-smart option is a Donor Advised Fund (DAF). A DAF is like an investment account, except you are giving away the money when you transfer assets into it. The best asset to transfer into your DAF is highly-appreciated stock because you don’t have to pay tax on the investment gain. And you still get a tax deduction for the full market value. Let’s say you have 10 shares of Apple AAPL. You paid $1,000 for these 10 shares about 3 years ago. Its stock price is around $220 per share today, so the value of 10 shares is $2,200. You want to donate money to a charity and think, “Hey, I’ve got $2,200 of Apple stock I can sell and give to charity!” Unfortunately, you now owe capital gains tax on the $1,200 investment gain. For Californians, that adds up to about $400 in Federal and state tax. Instead of donating $2,200, you end up giving $1,800 so that you can pay the tax. The better gifting strategy is to donate the Apple shares to a DAF. You avoid paying taxes on the $1,200 investment gain and still get a tax deduction for full market value of $2,200. DAFs are easy to open and fund. Once the money is in the DAF, it can be invested and continue to grow. This means more money goes to charity! 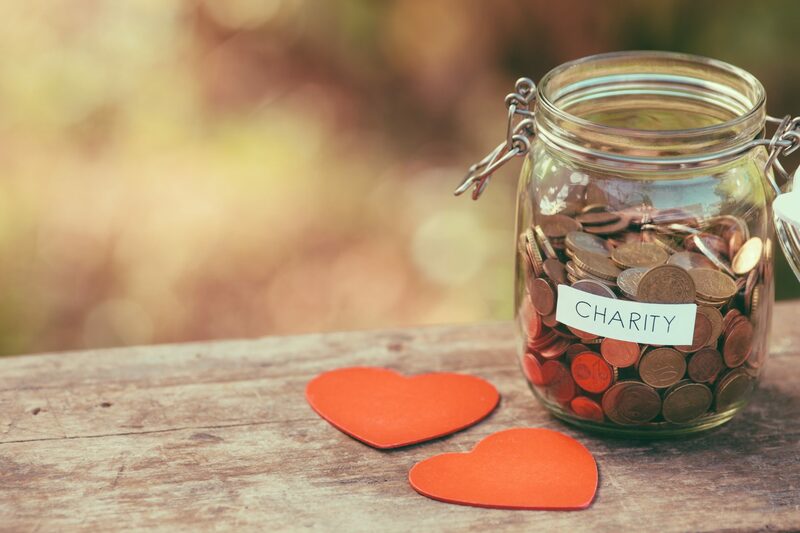 You get to use the DAF like a “charitable-giving checking account,” allowing you to donate to your charity whenever you want in any increments. That can be this year or in ten years. It’s up to you. A more complex charitable giving strategy is a Charitable Remainder Trust (CRT). A CRT works like a DAF in that appreciated assets are transferred into it. This helps you avoid paying lots of taxes on investment gains. CRTs can hold all kinds of assets, including stock of a private company or an apartment building. Once the asset is transferred into the CRT, the donor gets a tax deduction for that year. Additionally, the donor gets a lifetime income that can range from 2% to 8% of the value contributed to the CRT. When the donor dies, the remaining CRT balance goes to the charity identified by the donor. Again, a quick example works well to explain these techniques. Suppose a business partner owns 30% of a successful, privately-owned company. This company is worth $10 million so the partner’s value is $3 million. She does not need all this money for retirement and supporting local charities is important to her. She plans to sell her shares to the other partners at retirement. Since they built this company over many years, there is no cost basis. Put more directly, she will owe tax on the entire $3 million. A great strategy for this business partner is to create a CRT and donate some number of shares into it. Let’s assume she donates $1 million to the CRT. The partners buy her $2 million ownership, and the other $1 million from the CRT. She will get a large deduction for the $1 million donation. This will help offset a large tax bill from selling the other $2 million of ownership. Additionally, she will get income from the CRT for the rest of her life. The amount of income is chosen by the donor. The range is from 2% to 8% of the CRT amount. In this example, that’s $20,000 to $80,000 per year! A higher income (8% of the CRT value) results in a lower one-time tax deduction. A lower lifetime income (2% of the CRT value) will give the donor a much higher one-time tax deduction to help offset the gain on the other $2 million. The use of a CRT is for special situations, but it is worth mentioning since San Diego has several bio-tech firms that are bought by much larger companies. People who have never thought about large charitable gifts could very well end up in a position to do so in a short period of time. And reducing the tax liability means more money can go to charities instead of taxes. To sum it all up, while a CRT may not be right for everyone, a DAF is much more accessible and doesn’t cost anything to set up. If you have appreciated stock sitting in a brokerage account, you should definitely consider a DAF to make your charitable contributions. It’s great for non-profit charities and a tax-smart strategy for you.